I Used 101 g. of NaOH and water 2.5 times the amount of NaOH. 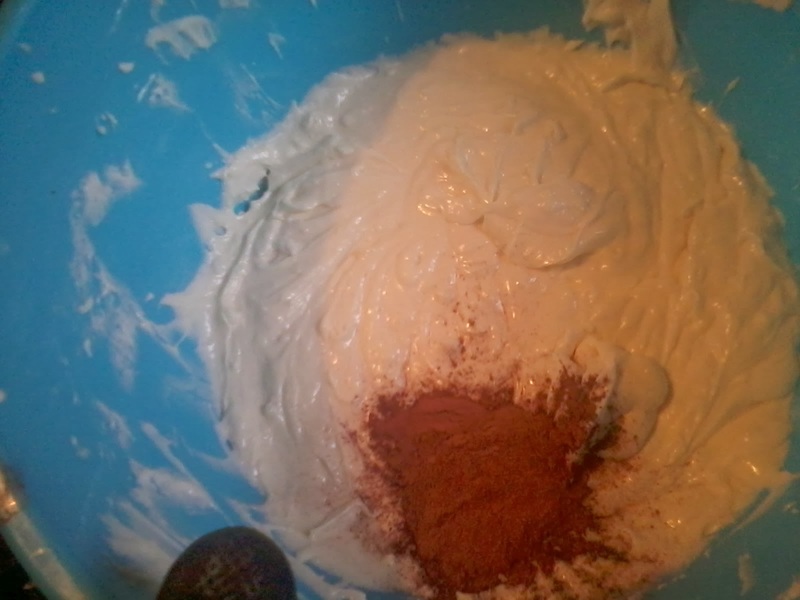 I added Strawberry FO and Coco butter FO for fragrance and used white Kaoilin and pink French clay for colour. 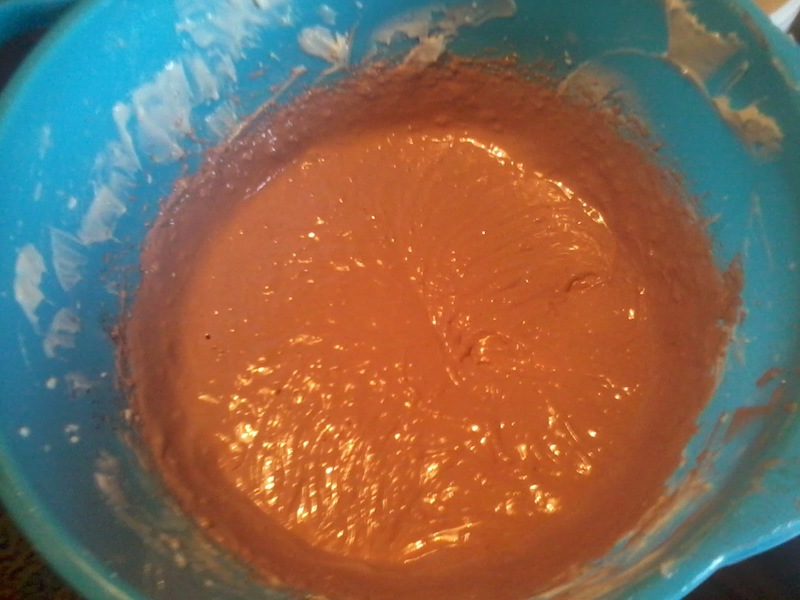 I was going for light, dusty pink and I used one table spoon of pink clay and one tea spoon of white clay for aproximately 1 pound of soap. 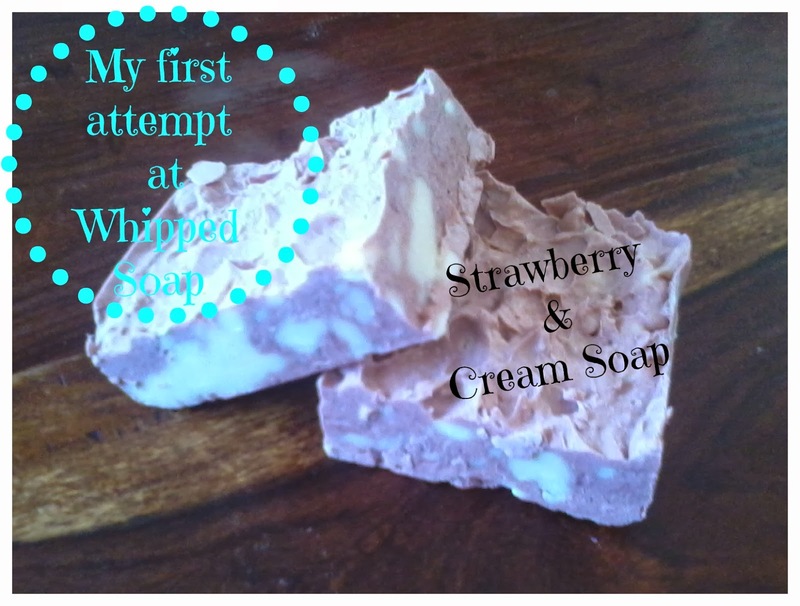 This was also the first time I used pink clay in my soap and I must say I liked the results. Here is the rest of the recipe. 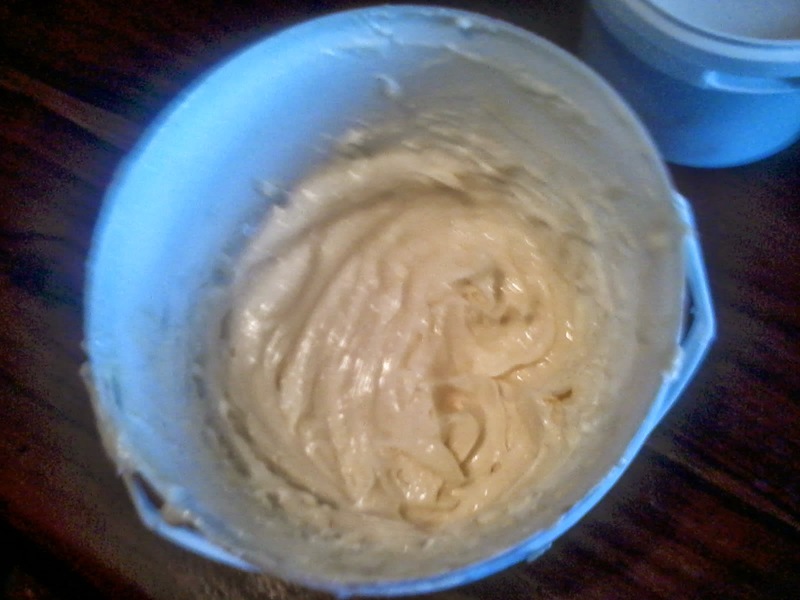 When you make whipped soap it is important to use at least 60% solid oils or butters, but I read that the more solid oils you use, the better. And that the best results are accomplished if you completely ommit using liquid oils. However, using only oils such as Coconut and Palm oil for the soap might be too drying for the skin without some conditioning oil such as Olive oil, so I went with the following recipe. 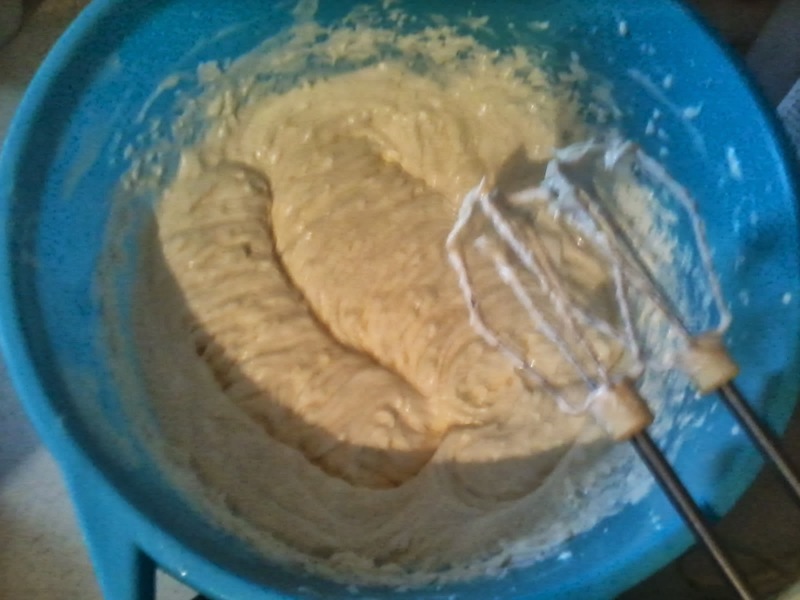 I whipped the solid oils and butters with a mixer. Next, I added my liquid oils, whipped it all together and put it in the refrigirator until my lye cooled enough to pour it in. I took the oils out of the fridge couple of minutes before pouring the lye, whipped it again and then, when both oils and lye were at the room temperature. When that was done, I separated about 1/3 of the soap into another bowl. I added 1 table spoon of pink clay and 1 tea spoon of white clay into the remaining 2/3, mixed it a bit and then added the fragrance oils into both bowls. 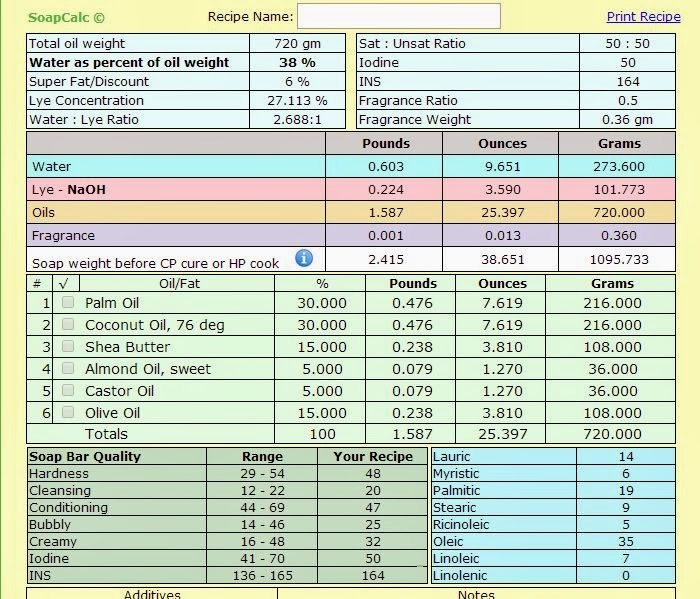 I left that for the end because I was afraid fragrance oil might cause seizing or some other disaster. The only trouble I experienced with this procedure was due to the fact that I whipped the uncoloured part too much, so the consistencies of that and the coloured part weren't the same, so after I transferred them to the mold, I couldn't manage the look that I was going for because the white part was just to stiff. 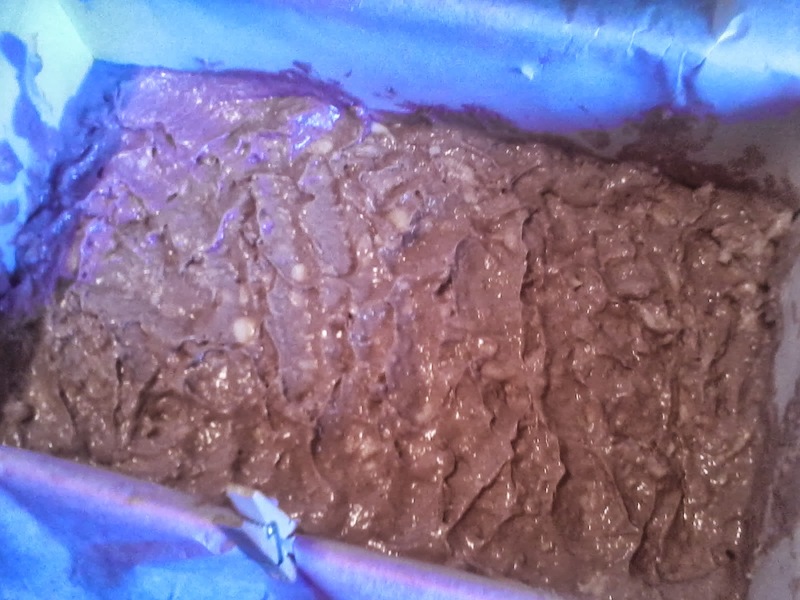 And this is how the soap lookes after I took it out of the mold and cut it. Now we just have to wait and see if it would float. My daughter will be the first to try it.